Love Varnish: Swatches & Review - My 4 picks from the Dance Legend Wow Prism collection! Swatches & Review - My 4 picks from the Dance Legend Wow Prism collection! Hi loves! Another Friday, another Dance Legend collection to introduce to you :-). Today it's the Wow Prism collection I want to show, and it is stunning! The Wow Prism collection is a 18 piece set of polishes with a gorgeous chunky holo. For other swatches check The Polishaholic or Anne Gorelova. Application was fine on all of them, I used 2 coats for each shade and topcoat (they can dry a bit flat and topcoat really makes them pop). The formula isn't thin nor thick, slightly comparable to the China Glaze Kaleidoscope collection. There is a certain.. gummy like feeling to it? It isn't an amazing formula but not hard to work with either. Let's take a look at the shades! 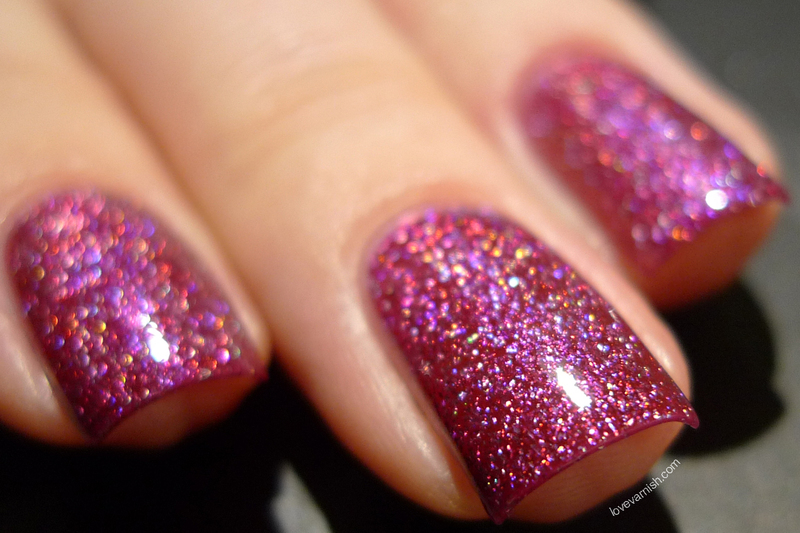 Dance Legend Behind The Scenes is a raspberry shade, this reminds me of one of the OPI DS shades actually. Very lively and fruity and perfect for Spring and Summer! Dance Legend High Hopes is a very pale lilac shade, I actually loved this one SO much I wore it twice in one week! The holo effect is very strong in this one, very chunky but giving a linear holo, and the shade is super soft and femine. A stunner! Dance Legend Slippery When Wet is a slightly darker shade than High Hopes. It's also more purple compared to the previous shade. Very nice holo effect and a lovely shade for Spring. 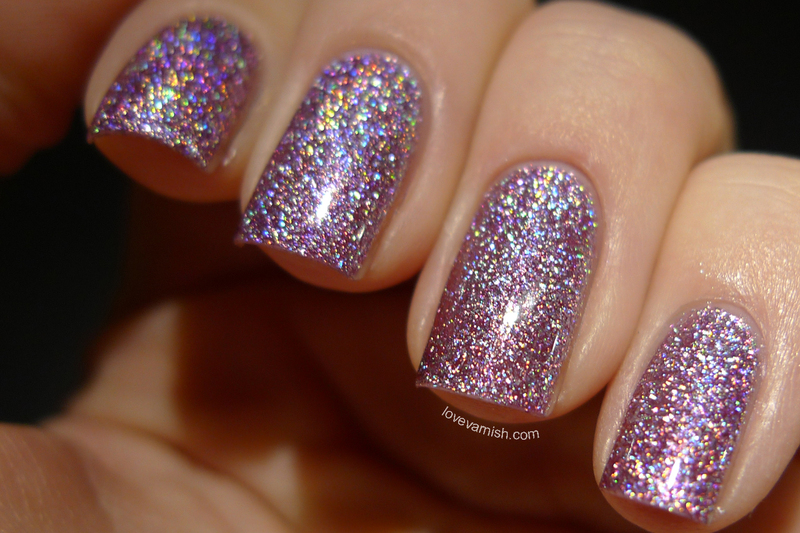 Dance Legend Strutter may have the weakest holo effect, but it's amazing! The holo particles give so much depth to this green beauty, it really seems to glow. 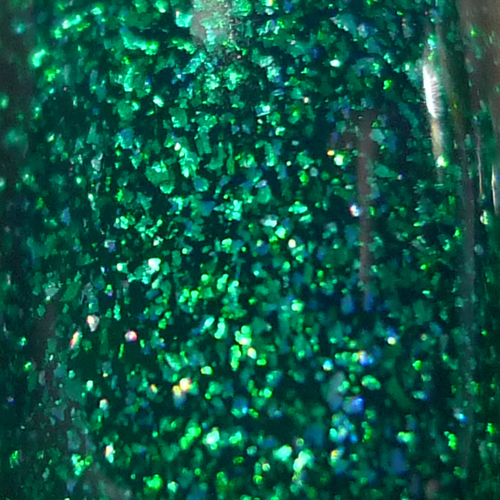 If you love greens, you'll love this one, even though it doesn't look holo. That's it, the 4 shades I picked from the Dance Legend Wow Prism collection! Which one is your favorite? Mine obviously is High Hopes - wore it twice already :-). Wow, these are stunning! I like all of them. Aren't these just amazing? =) I got for different shades, but I still love your picks. Especially the Strutter one. Amazing! That green one is AMAAAAZZZZIIIINNNGGG!! all of these are stunning!!! I think High Hopes is my favourite too!! These are the bet swatche I've seen so far, gorgeous! Thanks Melissa, they sure are headturners :). Thanks girl! I really love them and might get some other colors too! It's such a delicate yet outstanding shade! Thanks Eleobel ♥ I am always happy with your sweet comments! Thanks so much Cristina, that's really sweet of you! Super pretty . All of em ! I've got Strutter in the mail to me but I really think I need High Hopes now! Ouch, my wallet hurts!